The Novotel Paris 13 Porte d’Italie hotel would like to welcome you the City of Light. The hotel’s modern design and elegant rooms are here just for you. For the perfect family vacation, our video game room is fun for all ages. For your business seminars andmeetings, three meeting rooms are available and WiFi access is free. 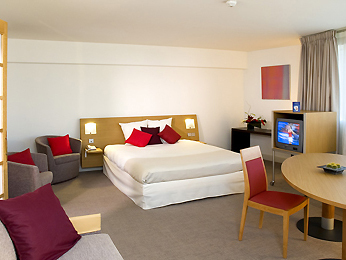 Explore the French capital at Novotel.